Bohol has great trekking opportunities. The island is ideal for cross-country treks without ascending high mountains. Bohols highest point is just one kilometer above sea level. 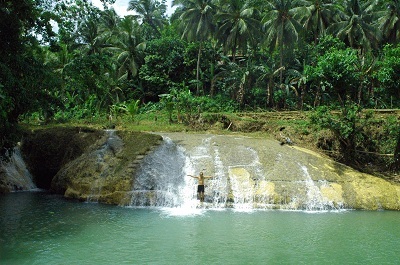 Bohol trekking offers rolling hills, patches of forest interspersed with small villages and pastoral farmlands. Towns are interconnected with cross-country routes. The islands interior is trouble free and the easy terrain makes it a safe place to explore. Exploring the forest around Corella may offer sights of the rare tarsier. This nocturnal animal is a very shy and delicate primate. A visit to the breeding center at Barrio Cancatac near Corella will be an interesting trip for animal lovers. 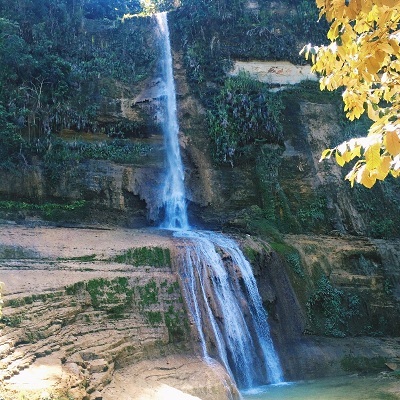 A short trek to the falls offers a good introduction to the terrain of Bohol. The terrain compreses mostly low, rolling hills covered either by grasslands or tress. Riversides have heavy growth of trees and vines creating small versions of canopy rain forest. The rivers may involve water crossings and some parts may be deep. Expect rock hopping and a scramble at the end near the foot of the waterfalls. The high hills of Bohol offer vistas of the far flung Camiguin Island and the Hibok-Hibok Volcano can be visible in clear days. Some of the wildlife that can be seen may include birds, monitor lizards - some of which may be one meter long - and snakes. Occasionally one may meet the rare purple-backed lizard, a local reptile with green body and a high purple fin on its back. The Can-umantad trail is a wonderful Bohol Trekking day trip offering various activities like swimming, sun bathing and a picnic outdoors. The 15km Cambia route is a more demanding extension of the Can-umantad trail. This route leads to the village of Biabas in Guindulman town. The Eskaya tribe inhabits the area. The tribe likes their isolation and speaks a distinct language. A guide would definitely be advisable in this area. This route may take seven hours plus the stop at the water falls. 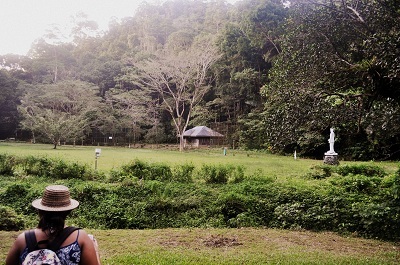 The hike involves plenty of hills which are quite difficult in Bohol standards. 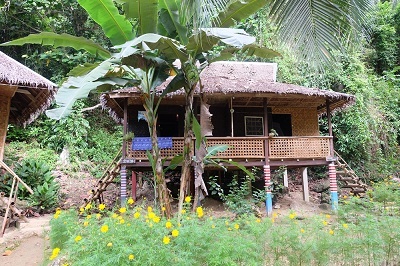 The Bohol Tarsier Trail is a much traversed pathway in Corella by trekkers and eco-tourists. 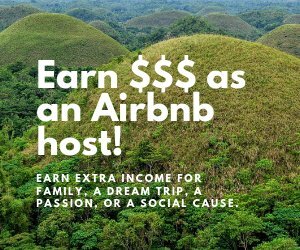 The pathway winds its way thru the gently rolling forested terrain of the interior towns of Corella, Sikatuna and Loboc which has been known as the natural habitat of one of the world’s smallest primate – the tarsier. Within the Sanctuary, the 15-kilometer trail has been set up by the Foundation with specific vantage points to enable interested parties to observe the tarsiers in its natural habitat. The trail was also established for educational purposes. Various fauna and flora can be found in the forests with the later having signage with scientific and other pertinent information given. 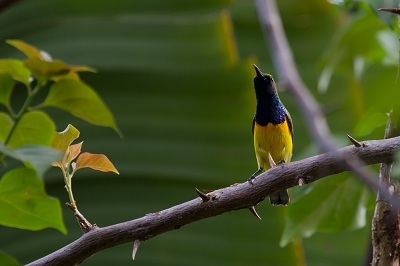 Rajah Sikatuna National Park is a haven for nature lovers and a bird-watcher's paradise. 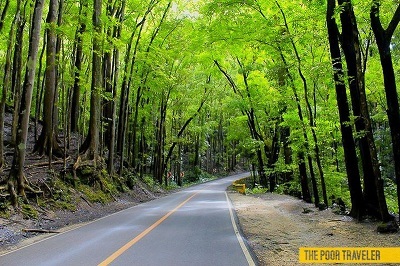 It is the widest remaining forest in Bohol. Balilihan Tourist Attactions include the Niluksoan falls sits at the center of a network of hiking trails which poses a great challenge to trekkers.